Whenever we go on an engagement session, we are always happy when the couple adds some of their ideas or personality to the shoot. Thing always go smoother when there is a little bit of a plan. This was definitely no exception. Riley and Kyleigh wanted to drive about an hour away to a beautiful lake in the middle of the mountains in Northern Utah. Bear Lake is about an hour northeast of Logan Utah. 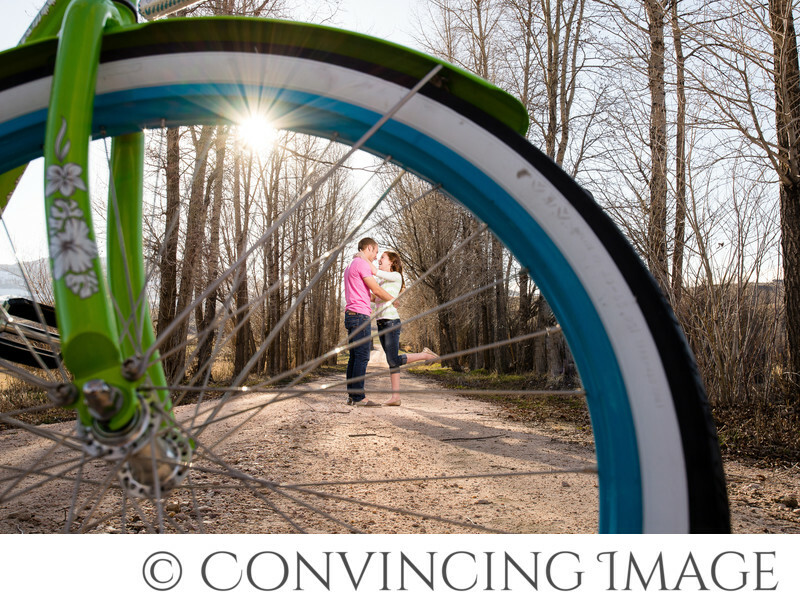 The beauty of this session not only came in the couple's lovely faces, but also in their planning and preparation. When a couple takes the time to plan out the kind of things they want to add to their session, they will take ownership in the session and it gives them even more of an emotional attachment to the images. Our recommendation to our couples is to come with some of a plan. Make sure your photographer is in on the plan, so they come prepared on how to take your pictures. Then find a perfect location for you. Consider having a portion of your session doing something you love to do together. Or some outfits that fit your personality. Grab some props that tell about how you two fell in love. The stronger the story told by your pictures, the more you will fall in love with them. Your friends and family will also be excited to get to see a little bit of your love story told through your pictures. Make it yours and it will be beautiful. Location: Bear Lake, Garden City, Utah. 1/200; f/13.0; ISO 400; 35.0 mm.